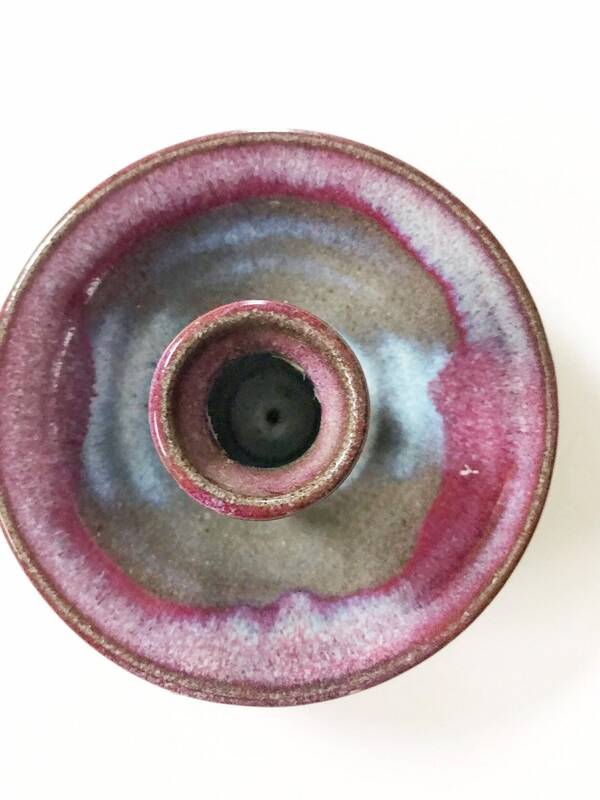 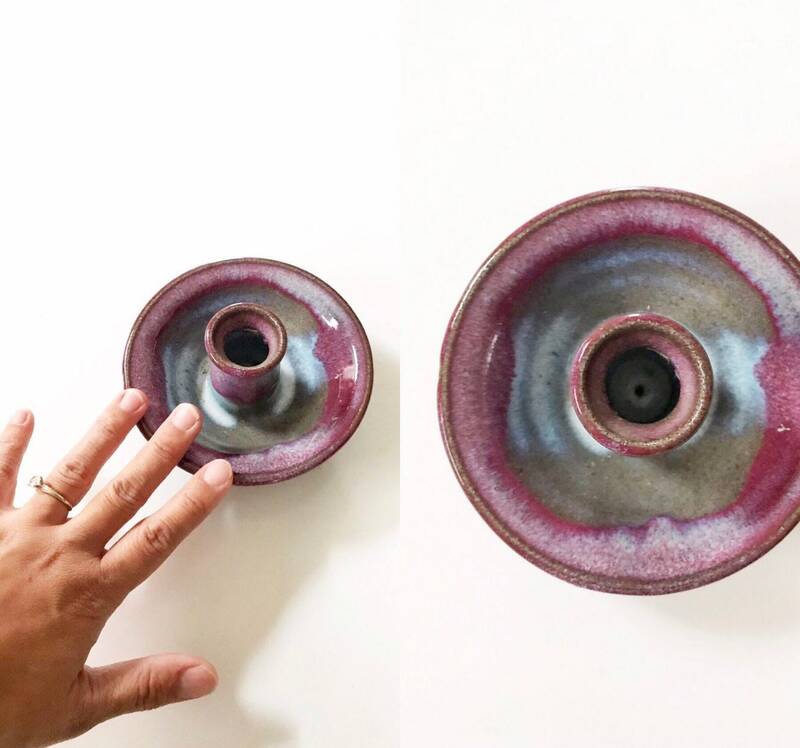 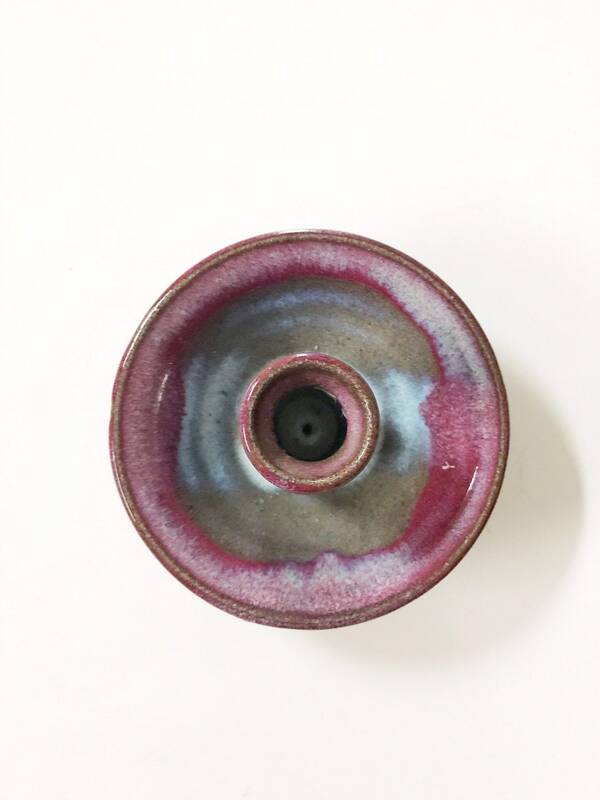 Gorgeous hand thrown stoneware candleholder with a speckled purple blue glaze. 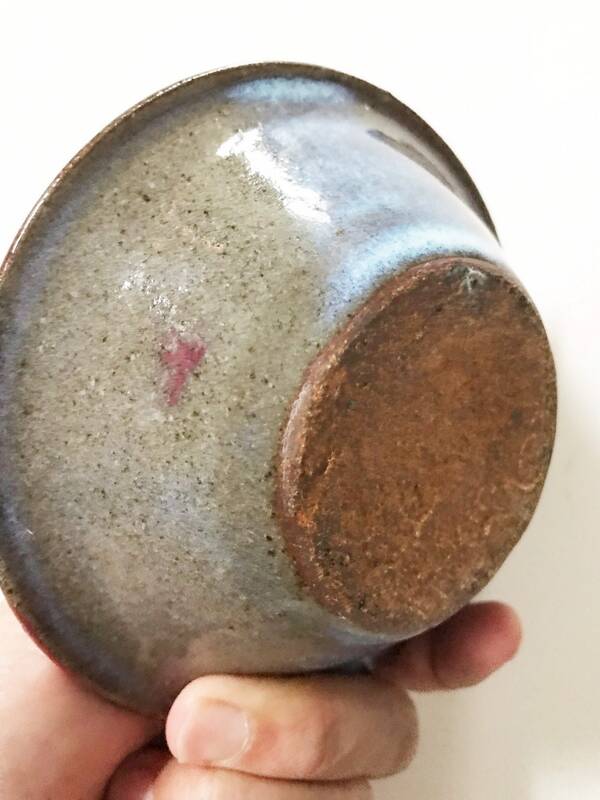 In good condition with no significant wear. 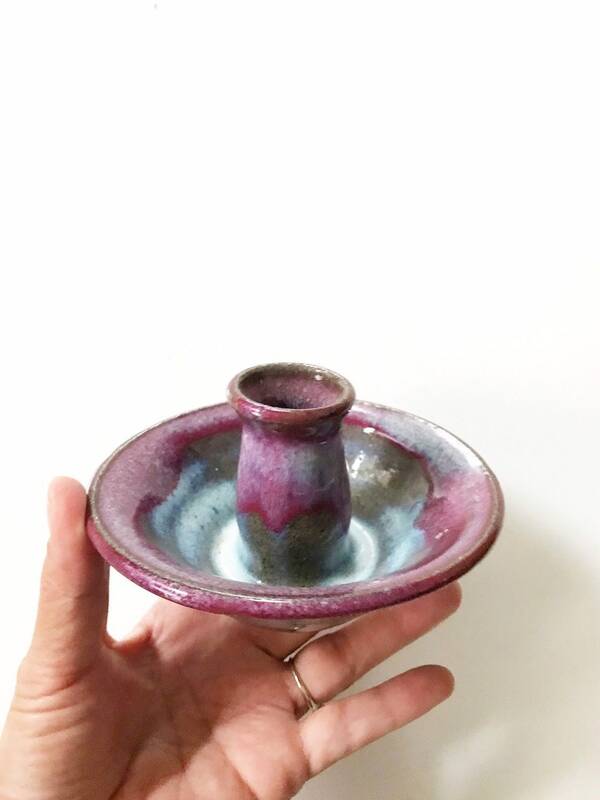 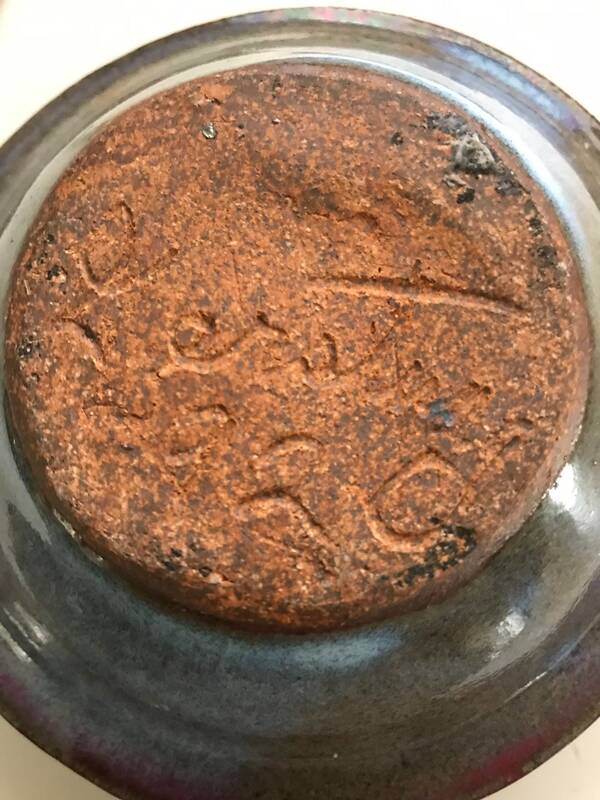 Holds 1 inch wax candles.